JVZoo Academy is the first product that is actually endorsed by JVZoo. JVZoo is similar to ClickBank. It is an online marketplace where many successful online entrepreneurs are selling their digital products’ through the JVZoo huge marketplace. JVZoo Academy is the premium training course which has been put together by Sam Bakker, one of the JVZoo top producers, with the endorsement from JVZoo. JVZoo Academy is a kind of version of the Clickbank University which was created to teach people how to use their platforms to make money online. However, JVZoo Academy is not that impressive at all. I’ll provide details below. Hi! This is TQ. Here’s my profile. As a full-time affiliate marketer, I can tell you that JVZoo Academy is not an affiliate marketing training program. This Academy is designed for those looking to create and sell their own digital products. Basically, you are using this Academy to learn how to create your own affiliate marketing training program. 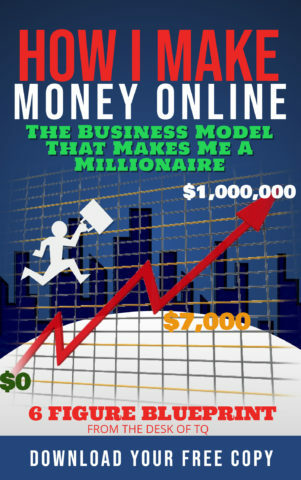 I have created a popular ‘Guide To Make Money Online‘ which I offer a free copy as a gift my blog visitors. You can follow the link and get your free copy. Read this before buying JVZoo Academy. How does the JVZoo Academy System work? JVZoo Academy is an online training system created by a 7 figure marketer to show people the exact steps, systems, and processes that he follows to make millions on the JVZoo market platform. JVZoo has helped many marketers become Millionaire. There are 2 ways to get rich on JVZoo and both are taught in serious detail in JVZoo Academy. Anyone can join JVZoo for free. If you are not a vendor or product creator, then you can sell other peoples’ products’ as an affiliate. The main lessons of JVZoo academy will teach you how to create digital products’ and then selling them on JVZoo Marketplace. You can expect to become an expert in both areas, that is what the creator wants you to believe. However, the big questions’ still need to be answered, can you make money with this training system? And is this something for you or not? JVZoo Academy was initially created as a completed training system to teach people how to make the most money online with the platform as sellers and affiliates. However, the creator was afraid that it would not sell well with the $197 price tag. So, they decided to split the training system into two parts, with basic content on the front end, and the more in-depth content as an upgrade. I totally understand the decision to lower the initial price, but the front end portion of the system must also provide some value to purchasers which does not contain much after the change. What is in the front end of the training system? The front end is mostly the introduction to the JVZoo platform with video interviews of various successful JVZoo marketers. Some member agrees while the front end training is very basic, but the interviews are well worth the purchase price of $17. A large number of people disagree because it does not provide real step-by-step training to help them make money. There are 5 different video interviews where you get to hear how people started, run, and build their successful online business. The most valuable item of all is the downloadable 40 plus PDF pages that provide in-depth on how to become both a successful vendor and an affiliate on JVZoo which everyone will get. Inside the JVZoo Academy training area, you have 4 core modules together with action plans, checklists, Resources & tools, and 5 interviews with successful JVZoo Affiliates/Sellers. This module covers the best use of JVZoo to achieve maximum profits. You will also get an introduction to the process of pick and choose the right digital product to offer to your audience. In this module, Sam will literally teach you and share his techniques on how to build your own successful online business. Creating your first product is one of the hardest parts of becoming a JVZoo online marketer. The module will show you the path to harvest the knowledge you need to create your first product. You will learn the product creation process from a written guide to video training lessons. This is hands-on with basic learning about the exact steps to pick a niche, create a high-converting digital product for the chosen niche, and leverage JVZoo to generate maximum profits per launch in the shortest time frame possible. Sam will walk you through the process of creating a buzz around your product and complete a good launch on JVZoo. How to prepare your product for launch? How do you set up your funnel? These are some steps that need to be done to avoid confusion. This module is almost entirely dedicated to email marketing. You learn tips and techniques that Sam personally uses to create powerful affiliate campaigns. Email marketing is a very powerful tool to promote your products’ or other people’s products’ as an affiliate. This PDF guide is great, particularly chapter #5 and #6, where Sam explains how to construct the best email offers for your campaign. Since this is a basic introductory lesson, you will not get a full explanation on how to get subscribers. For beginners, it can be a challenge to start building a list from scratch if they still haven’t set up a website. You will not learn everything from A-Z on how to create and grow your online business with the front end part of JVZoo Academy. If you want the step by step actionable training, you will have to upgrade. This is how the training was designed. After the JVZoo Academy system was divided into two parts, the initial cost of the front end portion is $17, which I have explained in the section above. If you want the full training, you will have to upgrade. Let us talk about upsells. Upsell is an add on the main product. It can be beneficial, but not always. For example, when you purchase a meal for dinner, you are likely presented with a drink or dessert to go with your meal. This is an upsell. This program has three (3) upsells. These are considered optional which you do not have to purchase. However, as I have said earlier, if you want a complete JVZoo training system, you will have to purchase the first add-on. This doesn’t sound like an optional, right? Yes, I agree with you. JVZoo Academy has 30 days, no questions’ money back guarantees. But you need to know that this offer does not apply to upsell. If you decide to cancel, you only get $17 refund. This upsell is the second parts of JVZoo Academy. It goes into much more detail on all the modules in the front-end. It provides additional over the shoulder videos, cheats sheets and 20 extra interviews with top affiliates and sellers on JVZoo discussing tips and tricks on how to make money with the JVZoo platform. You will get the IGLOO for Page Builder & Membership Software app for free. The basic service normally costs $87.00. You would think the price is $180 after Sam decided to split the training program. No, the price is the same, $197. So, the strategy to split JVZoo Academy into two parts was to make more money for Sam and JVZoo. Now, you see why most programs love upsell. This product is designed to basically help you stay on track and keep focused on building your online business rather than getting distracted. The 60 Day “action plan” Masterclass is the entire JVZoo Academy divide into a 60-day where each task is broken down into daily action plans. Each day you will receive an action plan that includes a quick video and a guide helping you keep focused and move towards your goals. This product is more fit for those looking to create their own digital product as a vendor. In the first 60 days, you’ll learn how to build a list, test products’, and create one. The next 30 days you’ll discover how to launch your product and start building recurring income using email marketing and other methods. All it takes is less than an hour a day to follow step by step detailing tasks to go from complete zero to earning your first dollar online. This upsell is the opportunity to get 6 weeks of live coaching from Sam Bakker himself where you can get all your questions’ answered in real time. This is more of a live support and private Skype group that you can use to network with Sam and other students. These coaching sessions include discussion on your weekly individual action plans, the webinar replays, and the ability to download all the slides of each webinar. This product is only useful if you feel like you need to connect live with the teachers. You do not need this upsell as you already have all the essential information and support through the JVZoo Academy Mastery, the second portion of JVZoo Academy. The total cost to join JVZoo Academy is $214 ($17+$197). 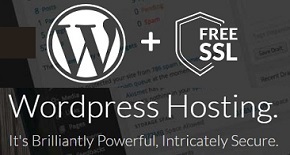 The cost of the JVZoo Academy with all upsells is $508 ($17+$197+$97+$197). 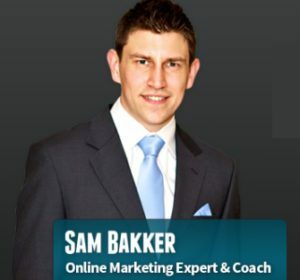 Sam Bakker is a popular and successful online marketer. Sam Bakker was born in 1988 in Christchurch, New Zealand. He had started his first business in the first year of high school. He later invested his money from the first business success in the Mp3 Player business which was the hottest new trend then. He made a lot of money from it. When the market changed, Sam helps business owners and new entrepreneurs to excel with his teaching and tools. He is a public speaker, consultant, and product creators. He is considered a world-class online marketer cashing in over 7 figures per year from creating and selling his own products’ and other people’s products’ as an affiliate marketer. JVZoo Academy is an excellent training on how to become a top JVZoo seller and an affiliate. This course is fully dedicated to teaching people how to make money using the JVZoo platform. This is the same strategy as Clickbank University, which I have also done a review on. However, the basic principles of making money online are still beneficial for those looking to make money online. Is JVZoo Academy a scam or legit? JVZoo Academy is not a scam. It is a legitimate high-quality training system backed by JVZoo themselves. You will get real strategies and actionable steps to walk your way to success using the JVZoo platform. Sam Bakker is a top JVZoo seller himself. He has made his wealth by launching products’ and teaching other online entrepreneurs to build a successful online business. He wouldn’t do anything to damage his reputation. Can you make money with JVZoo Academy? This is a great course to make money using JVZoo platform. It is a great way to start your online business if you want to become a JVZoo product creator or an affiliate marketer. JVZoo is a platform-specific training program like Clickbank University. It is a training system to teach you how to master their marketplace to make money online. If you like working with a specific platform, then Clickbank and JVZoo are for you. The JVZoo business model is to make and sell digital products’ through its marketplace. JVZoo Academy is a training program with a focus on the digital products’ creation side. If you do have the intention of offering a product on JVZoo platform, then it might be a good idea to go through the JVZoo Academy training to help speed up the process, instead of learning this on your own. However, if your intention is to learn affiliate marketing, this might not be the training for you. JVZoo affiliate training lessons focus mostly on email marketing to promote and sell products online. It is very hard to be successful as an affiliate market learning only this technique of affiliate marketing. Email marketing is a bit too advanced for newbies. As I have mentioned earlier, you will have a problem with building your email list without already having an online presence, a website. Like Clickbank University, JVZoo academy is a good program for the digital product creator. JVZoo is not a good training system to learn affiliate marketing. There are better alternatives out there for people just starting out with affiliate marketing. You can even start learning basic affiliate training for free. 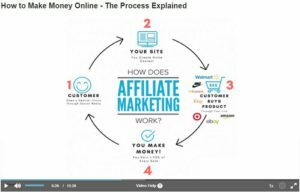 If you want to learn affiliate marketing, you must join a real affiliate marketing training program that focuses primarily on teaching people how to make money online as an affiliate marketer. Your chance of success is much higher. Affiliate marketing requires a different set of skills and tools as compare to JVZoo digital product creation. For those never heard of this 4 step affiliate marketing, let me give you the steps: Find a niche, build a website and create content, web traffic generating techniques, and website monetization. You can follow the links to learn more about each of the 4 steps. The most well-known affiliate training programs are Wealthy Affiliate University, Affilorama, and Super Affiliate. These training programs offer extensive training lessons with a strong record of success rate. Wealthy Affiliate University is my #1 choice. I always recommend this program for newbies. This affiliate training program offers a free membership account which allows people to test first before buying. You should not pay for any affiliate program until you know online affiliate marketing is the right business for you. This same business rule applies to JVZoo Academy, which does not offer free to try account. I suggest you register for a free account with Wealthy Affiliate University to compare with JVZoo Academy. You only have to pay JVZoo, so the cost is still the same, but you receive more training lessons. Remember, not all free affiliate marketing training programs online is the same. Some are created with the intention of making more money through upsells, like JVZoo. Be sure to register for a free training program with no upsell requirement. NO financial obligation or commitment – Click here for a NO Payment Required free training account. NO financial pressure – Start part-time before going full-time. Read more. Earn extra money – You can earn commissions with the free program. Click here to learn more. Turn a hobby into a successful business – Anything is possible online. Read more. FREE membership account with no expiration: There must be no payment information required and no expiration date on your free membership. You can stay as long as you want to finish your basic training. Click here to train for free. FREE research tool: A free keyword research tool is required helping you in the process of creating ranking content. Click here to check out my #1 free research tool. I use a free affiliate marketing training program to build $6K per month online business. Click below to join this program, and you will have access to my help along the way. This is my free offer. Click here for my profile. Overall, the JVZoo Academy seems like a good introductory training program for people looking to make money creating and selling digital product on JVZoo’s platform. It is unfortunate that they split up the system just to make more money for SAM. There is no doubt that this move has pushed even more millions into Sam’s bank account.